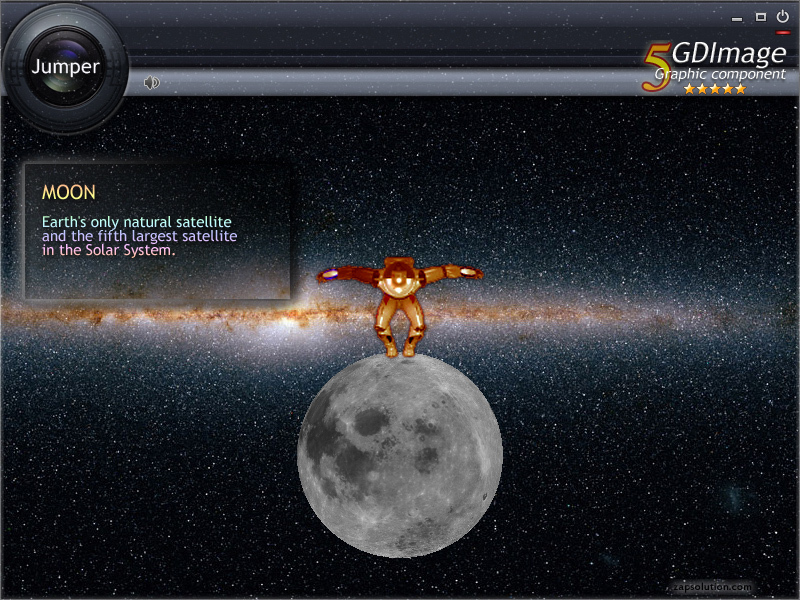 Space jumper shows you the mixing of 3D and 2D multi-state animations altogether. It requires a graphic card that is OpenGL 2.00+ compatible. Descriptive text with zoom-out effect (using Bicubic interpolation for smoother rendering). Note: You can move all the objects around with the mouse. For your Information, because I now you`re using Windows Vista. Glad to know it works well on XP, thank you!